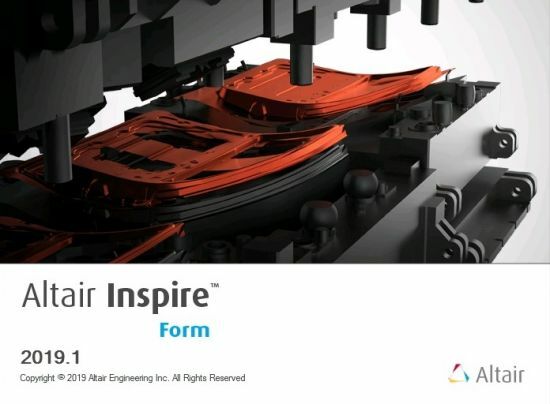 Altair Inspire Form (formerly Click2Form) is a complete stamping simulation environment that can effectively be used by product designers and process engineers to optimize designs, simulate robust manufacturing and reduce material costs. With the fast and easy feasibility module, users can analyze parts in seconds to predict formability early in the product development cycle. The automated blank nesting proposes an efficient layout of the flattened blank on the sheet coil to maximize material utilization. The tryout module includes a highly scalable incremental solver, helping users to iterate and simulate multi-stage forming, trimming and springback in a modern and intuitive user interface, reducing complexity and making the production of high quality parts more economical.